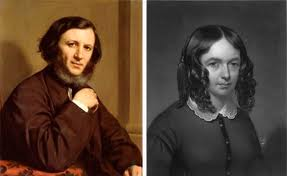 “I love your verses with all my heart, dear Miss Barrett . . .” So begins the first love letter to 19th-century poet Elizabeth Barrett by a great admirer, Robert Browning. Barrett, one of the best-known Victorian era poets, had a chronic illness and was in her late 30s when Browning first wrote in 1845 to tell her that he admired her work. They met for the first time in their fifth month of correspondence. After more than a year and 573 love letters, they wed in secret in September 1846, defying her father’s forbiddance. They fled from London to Italy, where doctors had said her health might improve. Her father disinherited her and never spoke to her again. One of the greatest romantic poems of all time was inspired by this love affair. In this era of Facebook relationships and Twitter/Text communication, I am finding that there is a large percentage of our young adult generation that has forgotten the art of chivalry. The reality is that in a high tech world, there can still be high romance. Stay tuned for future discussions of Living Love in Crescendo.